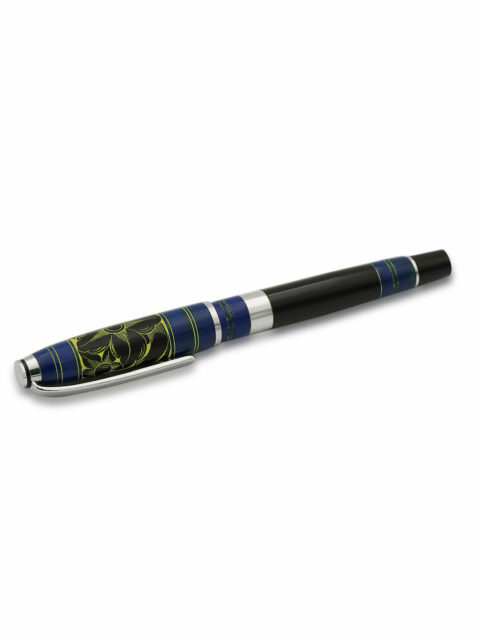 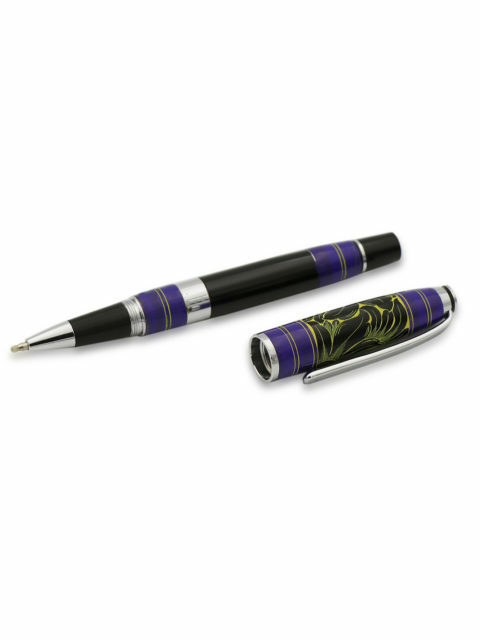 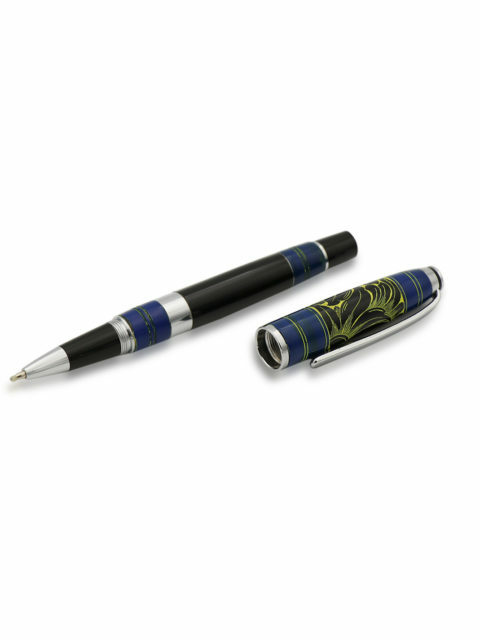 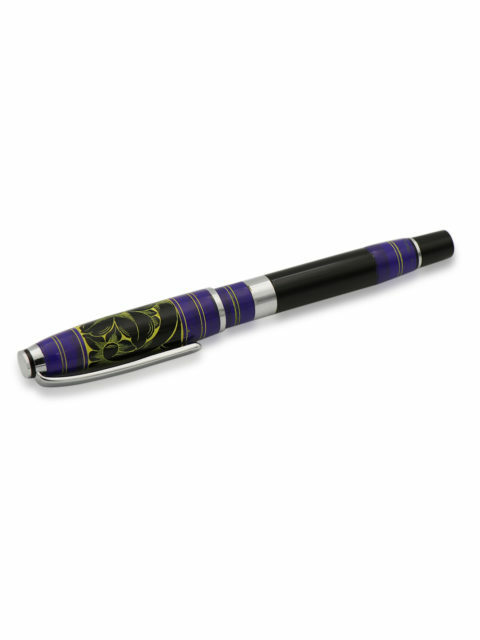 Get a sense of tropical vibes from this lacquered metal pen that has an array of endless swirls of green and yellow that compliment it’s stunning design. 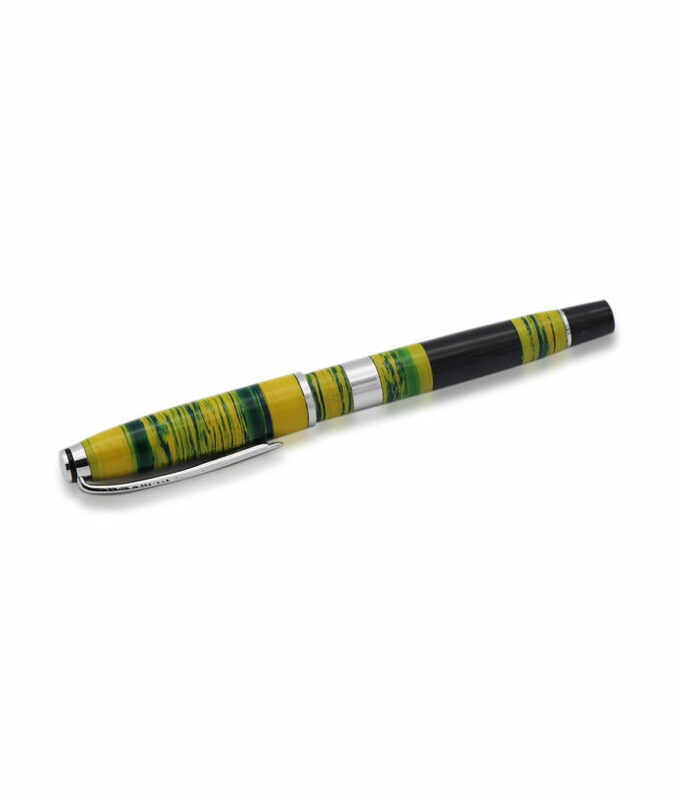 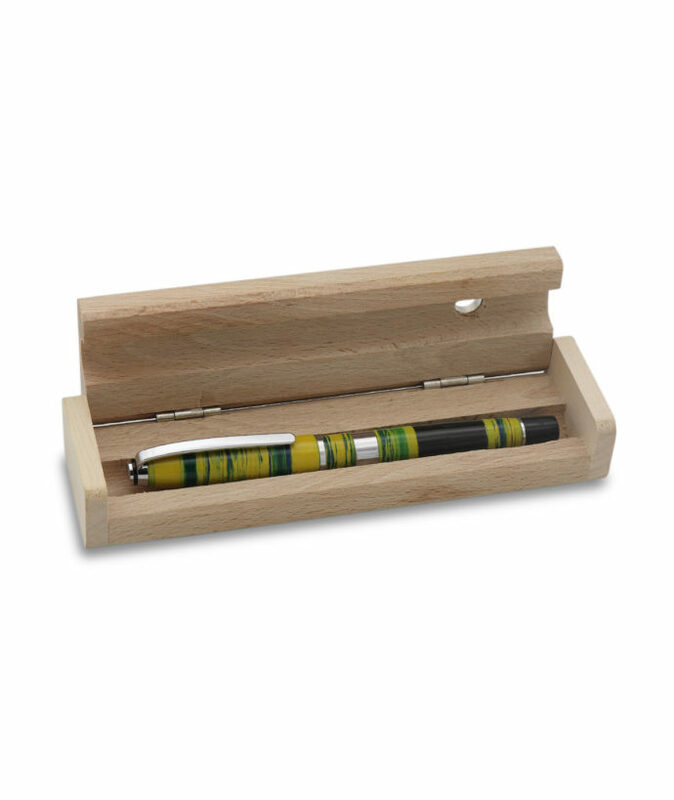 This metal pen has been coated with pigments of ‘laa’, from the base coat of black to the final coats of green and yellow which give this pen it’s distinct and harmonious blend. 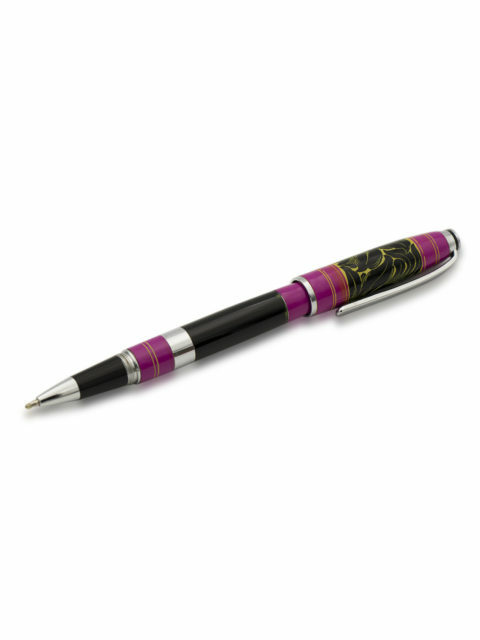 The perfect partner to brighten up and add some colour to any dull workday. 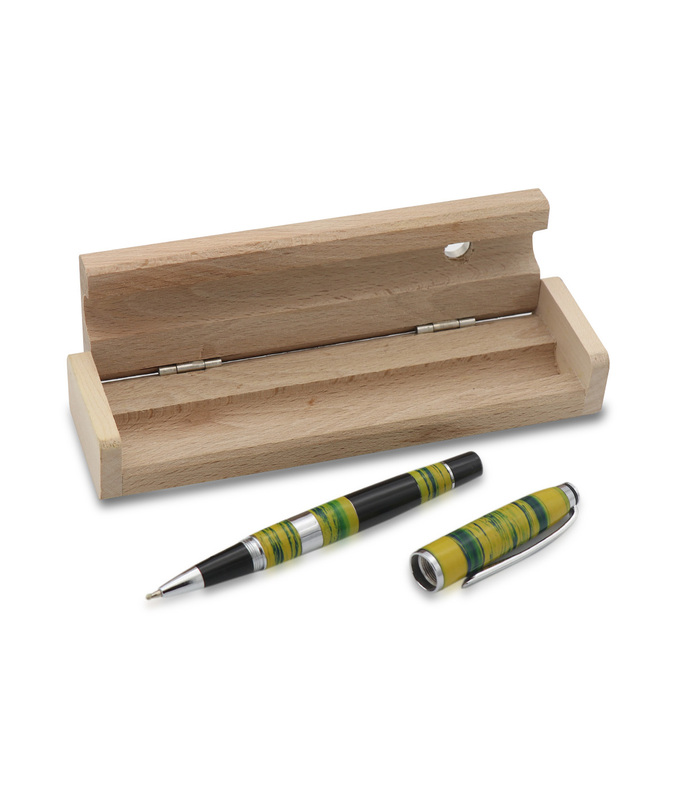 High end Quality Meets Professional & Traditional Craftsmanship to bring you this unique yet simple gift to wow your family and friends at a budget. 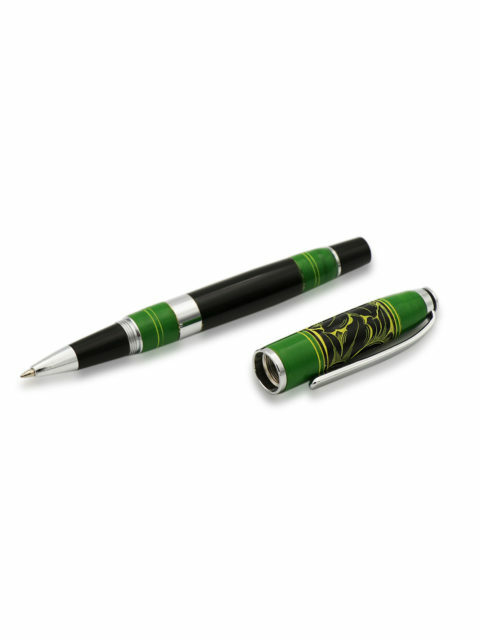 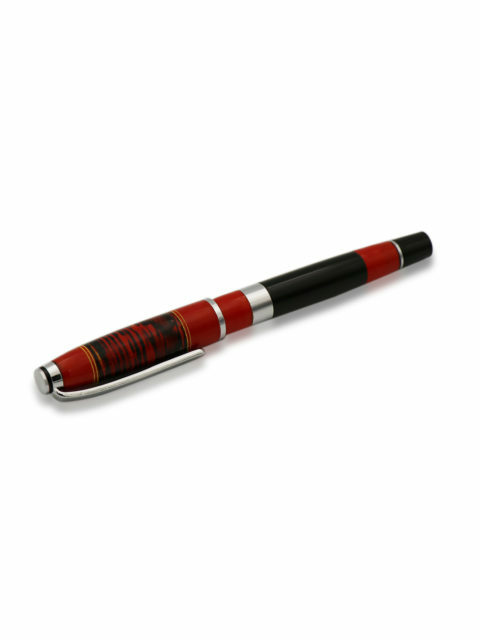 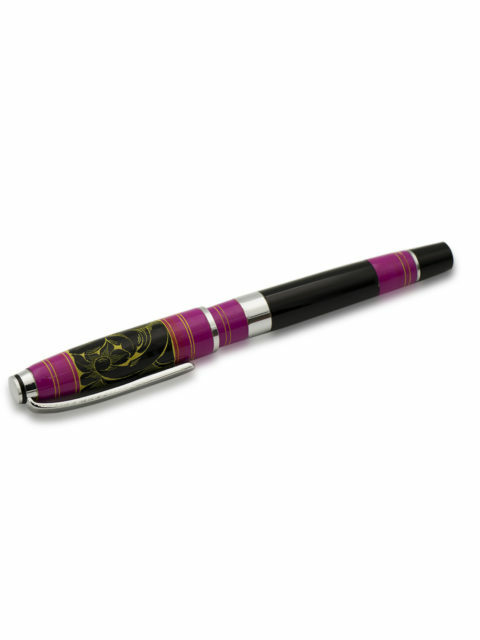 This pen has been crafted specially to bring to you the unmatched and extraordinary flare of Maldivian craftsmanship, as well as all the beach vibes you’ve been dying to get a hold of.